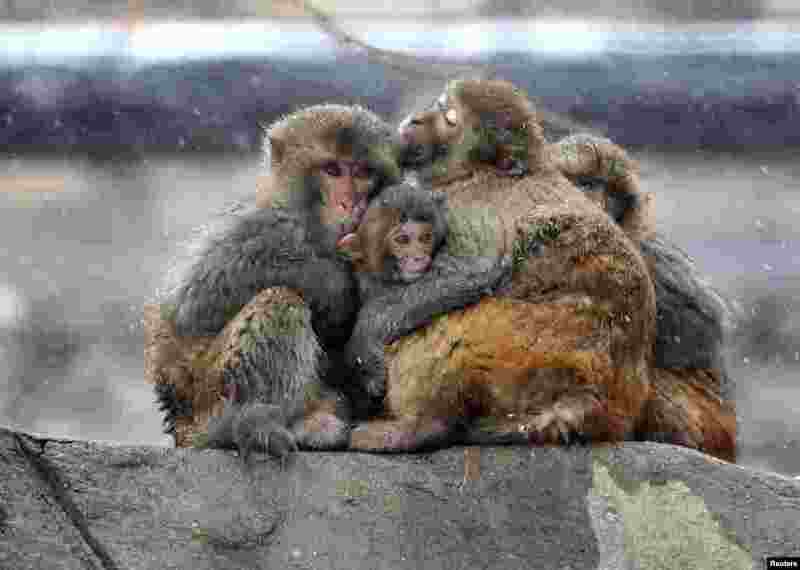 1 Monkeys hug amid snow at Huaguo mountain in Lianyungang, Jiangsu province, China. 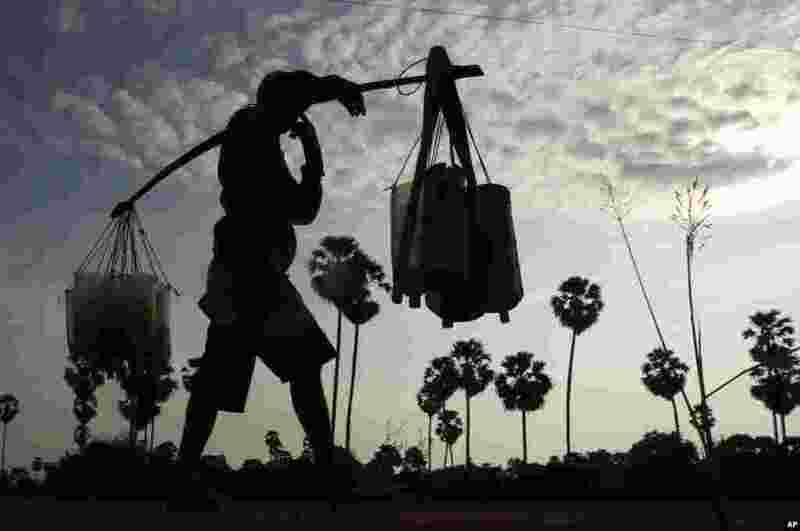 2 A man carrying plastic tubes full of palm juice at the Samroang village on the north side of Phnom Penh, Cambodia. 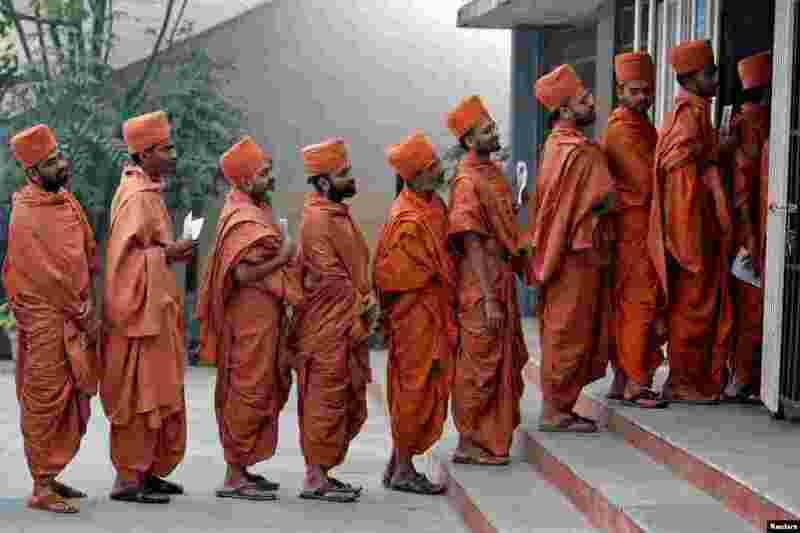 3 Hindu saints stand in a queue to casts their votes at a polling station during the last phase of Gujarat state assembly election on the outskirts of Ahmedabad, India. 4 Mourners pay their respects to the victims of the Grenfell Tower fire outside St. Paul's Cathedral in London.